Charles Peace was a Victorian criminal so notorious that he merited a mention by name in a Sherlock Holmes short story, “The Adventure of the Illustrious Client”. 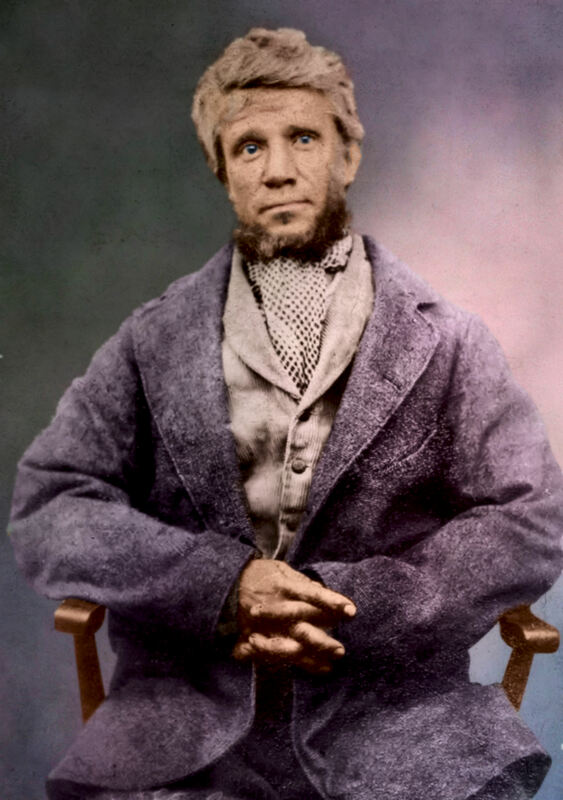 As far as I can tell, this photo is from around 1858 when Peace would have been about 26, and near the start of his criminal career, which ended with his execution in 1879. Most of his crimes involved burglary, but he murdered two people along the way, including a policeman. This entry was posted on October 4, 2013 by DaveD. It was filed under Mug Shots and was tagged with Charles Peace, Charlie Peace, colorized, colourised, crime, criminal. I think you’ve done a great job on Charlie! 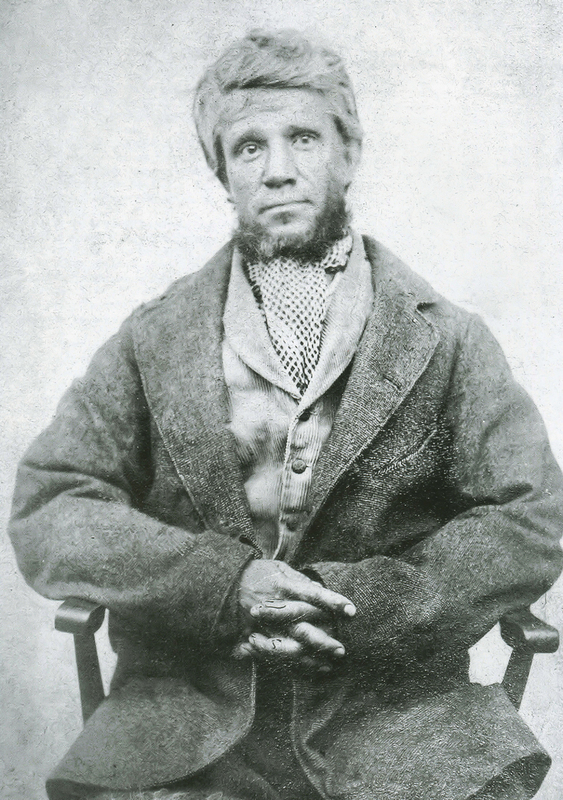 He was my Great great grandfather, and I would like to buy a copy of him in colour if that is possible? Thank you! I don’t sell copies of my pictures, but you’re quite welcome to download the photo from here. If you click on the photo, a full scale picture will open, which you can save and print. Spare a few coppers guv?